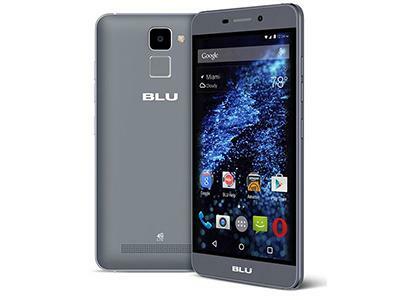 US- based smartphone maker Blu expanded its product portfolio with the launch of its new smartphone called Life Mark. The company has priced the handset at Rs 8,999 and it will be exclusively available on Amazon in white colour option. On the specifications front, Blu Life Mark flaunts a 5-inch HD display with 1280×720 pixels resolution. Powering the device is a 1.3GHz quad-core MediaTek processor paired with 2GB of RAM. The internal storage of the device accounts to 16GB which can be expanded further up to 64GB using a microSD card. The smartphone runs on Android 5.1 Lollipop operating system and offers dual sim functionality. It features a 13MP rear camera with LED flash and a 5MP front facing snapper to facilitate video calling. The device comes equipped with a fingerprint sensor and offers 4G, LTE, 3G, Wi-Fi, Bluetooth and GPS as connectivity options. The handset packs a 2,300 mAh battery to keeps you going. Blu launches Life Mark smartphone, priced at Rs 8,999 0 out of 5 based on 0 ratings. 0 user reviews.